Style memory is the ability to retain an end result, limiting the need for restyling. 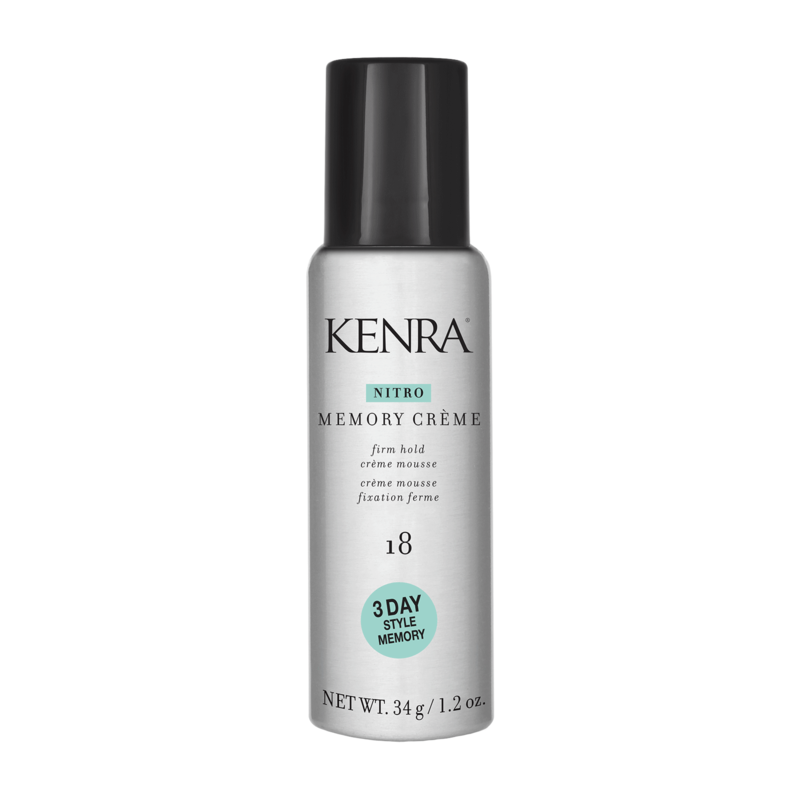 Nitro Memory Crème 18 is the 1st Nitrogen propelled mousse*, creating a unique, ultra smooth crème consistency and up to 3 days of style memory. The Nitrogen technology provides a workable,no stick application with evenly distributed hold and a touchable finish. - Invert can upside down. - Apply desired amount into palms and distribute evenly throughout damp hair in sections. - Blow-dry or style as preferred. Nitrogen propelled mousse creating a unique & ultra smooth crème consistency that allows for 3 days of style memory. Nitrogen technology provides a workable, no stick application with an even hold. Great for upstyling, molding and smoothing down flyaways.